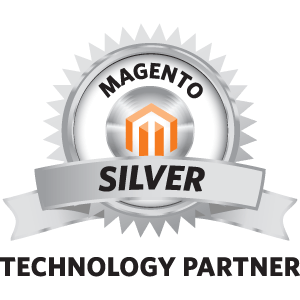 We're proud to announce our official partnership with Magento. The Magento Technology Partner Program aims at companies developing new and innovative solutions for Magento, which, in the end, help Magento merchants to make the most out of their store based on Magento, the fastest growing ecommerce platform in the world. As a technology partner, we will be able to work even closer with the developers at Magento. All XTENTO extensions are officially compatible with Magento Enterprise (Cloud / Commerce) Edition now. We're all excited about our partnership with Magento which confirms our growth in 2018 and all the years since we committed to Magento in 2008. The partnership with Magento testifies our long-term Magento orientation and we're looking forward to even more successful years with you, our clients, and Magento. Since 2014, XTENTO has been awarded the Technology Partner level, another level up from the previous Bronze partnership level awarded in 2011. Be prepared for even more helpful XTENTO extensions coming soon.